It’s 8 pm in Singapore, and the Atec, Inc. office run by Kok Pin (KP) Tan is finalizing technical support for its clients in Asia. In a time zone four hours away, Patrick Fourcampre-Maye of Vital Link Europe (VLE) is finishing an afternoon meeting in Dubai on test cell maintenance in UAE and Saudi Arabia. Simultaneously, Atec Chairman and CEO Howard Lederer canvases his staff in the morning at the company’s Houston headquarters, and in New Mexico, Button Allison of Celtech is coordinating with the London Vital Link team on European field contracts. Across the globe, in almost every time zone and market, Atec employees are delivering critical work for their aerospace and energy clients. Today, 300 employees and ten global offices are supported by 60 combined acres and 300,000 ft2 of shop, warehouse, and administrative space. Some additions have resulted from subsidiary acquisitions, such as Celtech (Carlsbad, NM) in 2013; Hager Machine and Tool (North Houston, TX) in 2016; and Vital Link (Sealy, TX; London, UK; Dubai, U.A.E; Istanbul, Turkey) in 2017. Other locations arose from Atec’s expanding business in places like Minneapolis, Oklahoma City, and Singapore. While Atec’s hub is still in the suburbs of Houston, as it has been for its 65 years in the business, its now permanent global network has bolstered job success and customer satisfaction. The Atec family of companies is primed to meet the increasing demand for its products and services. Vital Link (VLI) has accelerated Atec’s overseas expansion through its London based subsidiary Vital Link Europe (VLE). VLI is the premier company in military engine test enclosures worldwide, and its success in hush houses, noise suppressors, and jet engine test equipment contracts gave rise to VLE, its well-established and well-respected international outfit run by Basil Greenwood. Since its inception in 1995, VLE has reached beyond European borders into the Middle East and Africa, opening in Dubai, U.A.E. in 2005 and just recently in Istanbul, Turkey. VLI was recently selected as the primary contractor for international depot test cells for the world’s most advanced fighter engine. Fourcampre-Maye, who runs VLE Dubai, believes the company’s regional office network will provide essential support for such projects. “Growth in the Middle East is a focal point of the VLE group presently,” says Fourcampre-Maye. “That growth allows us to provide the very best of customer support through local, same time zone, technical expertise 2-4 hours flying time away from our existing and future work sites. This is a key selling point and a focus of our clients.” Through the joint work of its three branches, VLE can coordinate MSAs and provide international service work across the Atec companies. Hager has provided a similar manufacturing benefit with an emphasis on oil field, and IDIQ support. 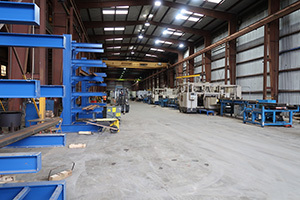 Since purchasing Hager, Atec has repurposed its 5-acre campus and added key machinery, including a multi-axis water jet. Celtech and Hager President Mike Rigdon says “Celtech and Hager modernization has specifically addressed the strong growth needs at Atec and Vital Link.” Hager’s machining, fabrication, and assembly capabilities have made Hager an integral part of Atec’s operations. 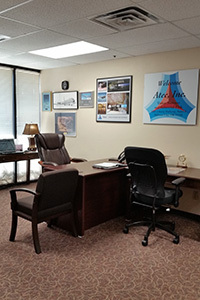 Atec has added two additional domestic offices to support its workload. Atec opened in Minneapolis this winter after years of working in the region as a long distance vendor. It needed a permanent office near the Great Lakes to support its burgeoning business in the northern United States. Run by Mitch Theisen, a former USMC pilot and seasoned engine test veteran, Atec Minneapolis includes project management, engineering, and business development in support of the greater Atec corporate family, with an emphasis on the engine test facility market. “We opened our Minneapolis office to support our continued growth in the commercial aviation market,” Theisen said. “Atec Minneapolis is currently focused on our existing test cell workload, but we are also evolving our product offerings as the market grows.” Theisen expects both Atec personnel and workload to continue growing in Minneapolis in the near future. 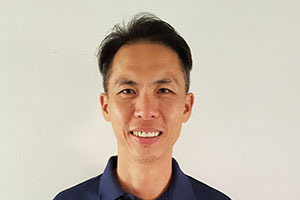 Rounding out Atec’s expansion is its new Singapore office managed by KP Tan, who joined the company after nearly two decades in the aeroengine support field. “At Atec Singapore, we aim to be quick and responsive to our customers in the region,” Tan said. “We provide troubleshooting and remote assistance, and now immediate response with similar capabilities to our teams in Europe, Africa, and the Middle East.” Tan is building a team to oversee required site surveys, proposals, test cell and equipment repairs, sustained maintenance, technological assistance, installation coordination and MSA activities. 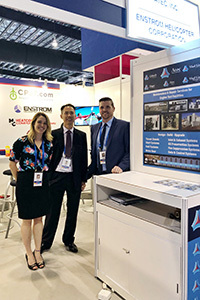 Atec aspires to replicate its Singapore model through a global tech rep network that will further facilitate client service and maintenance work abroad. Look for Tan and Fourcampre-Maye to lead that charge in the Pacific Rim and Middle East. Emily Pataki, is a 7th generation Houstonian working as a freelance writer. An honors graduate of St. Agnes Academy and Yale University, she has written on subjects of American history. Her thesis on the early frontier days of the Texas Rangers was received to much acclaim. She was elected in 2014 to the agency governing board of the Pedernales Electric Co-op, the nation’s largest electric co-op dealing with electrical and water resources for central Texas, where she now serves as board president. In October 2017, Ms. Pataki was appointed to the Texas Sunset Advisory Commission, which reviews the mission and continuance of all state agencies. Her popular blog can be followed at itsyourcoop.com. This article, Growth Around the Globe, is the fourth interest piece written by Ms. Pataki for Atec, Inc.